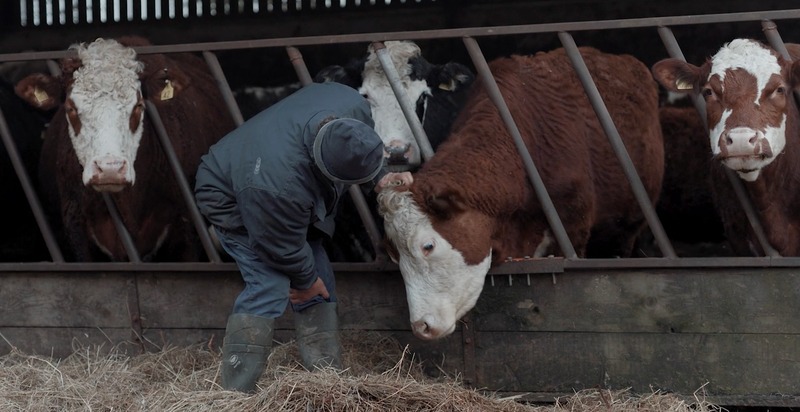 A new film tells the story of a Derbyshire farmer who gave his cows to a sanctuary because he could no longer justify killing sentient individuals. 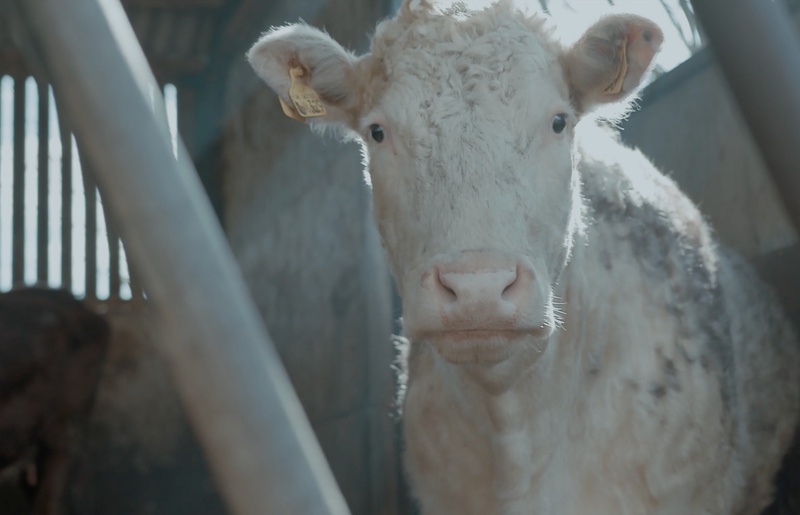 Short film 73 Cows features cattle former farmer - and vegan - Jay Wilde, who discussed how 'soul destroying' his profession was, but how difficult it was to break out of his family farming tradition. His - and wife Katja's - story made headlines when he initially revealed that he'd given away the animals and turned to vegetable farming, supported by The Vegan Society. In the film, Wilde opens up about how he became friends with the animals, then felt as though he was betraying them when he took them to slaughter - what he describes as a 'terrifying' experience for the animals. He also talks about the pressure he - and other farmers experience - being 'locked into' the farming tradition, as well as the positive reactions from veggies and vegans when he gave up cattle farming. He also experienced negativity from locals and other farmers - who branded his facility the 'funny farm' (an old-fashioned derogatory reference to a mental health hospital) as a consequence of relinquishing his livestock. Speaking to Plant Based News about the documentary, filmmaker Alex Lockwood said: "I first came across Jay Wilde's story when my wife showed me an article she'd read about him in the national news. "The story instantly struck a chord with me. I thought it was such a great subject that I assumed it probably would have already been covered by another filmmaker and so I didn't do anything about it at first. "After a few weeks I was still drawn to the story and so contacted Jay and Katja on the off-chance. Luckily, it turned out that they hadn't yet been approached by any filmmakers other than press and were happy to have me document their story." Lockwood believes the Wildes were open with telling their story as a favor to him, rather than to bring attention to themselves. "Jay and Katja are both incredibly humble people and would never seek out the limelight," he told PBN. "In fact, Jay couldn't even bring himself to watch the film until the Raindance premiere (to my relief, he enjoyed it). "In my opinion, the more exposure Jay and Katja can get, the better, as they are in the process of transitioning to vegan farming and it's not without its challenges. What they have done is incredibly brave, and it would be wonderful if they could get as much support as possible to start something amazing." Making the film had its challenges: Lockwood had no budget, and financed it himself. There were also issues with bad weather and snow preventing filming, with shoots having to be canceled. "Also, the cattle couldn't be released for Spring until the adverse weather conditions we were experiencing had settled and were suitable for the cows and filming, and so our final shoot at the sanctuary was delayed by a few months," says Lockwood. "In addition, when the day arrived to release the cows, the truck drivers refused to be filmed due to the stigma attached with taking farm animals to sanctuaries and for fear of repercussions." Despite all this, the filmmaker adds that seeing Wilde with the cattle, knowing they were free because of a decision he had taken, made the wait worthwhile. Lockwood himself says he is vegan 'for the most part' but not yet 100 percent there. "To me, being vegan is about taking ongoing steps and continually reminding and educating yourself about the things you consume," he said. 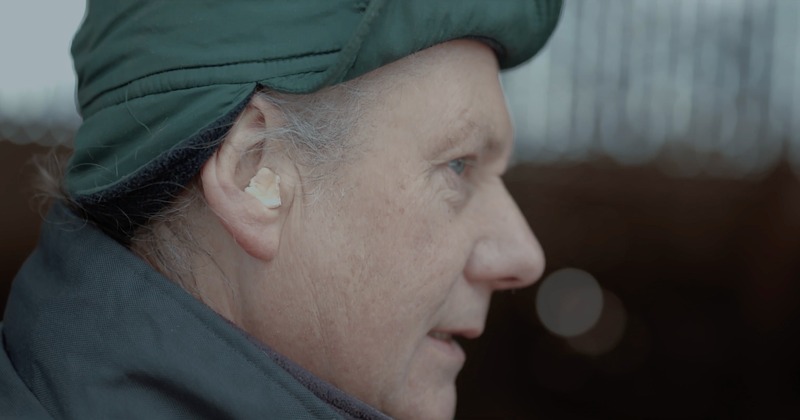 "Making this film and talking with Jay and Katja about the process of dairy farming has opened my eyes to the reality of how dairy products end up on our shelves. "If people watch the film and decide that they want to make a change in how they consume animal products then that would be amazing." Ultimately though, the filmmaker says he was initially drawn to the film as it is a 'great story of human conflict and compassion'. "Jay is a wonderful subject and ultimately the film has a very uplifting and inspiring message," he said. "I really feel that for some people, a tone of this nature is more powerful for inspiring change and questions."